An integrated digital marketing strategy is a process designed to ensure that all messaging and communication strategies are consistent across all channels. This digital marketing case study highlights the results when the brand is centered on the customer. Unifying different marketing methods creates a one-to-one experience. We not only update the website and social media channels, but also create video content and professional photography that provides a personal tone. The demographic who is most engaged by these methods are Gen X and Baby Boomers. 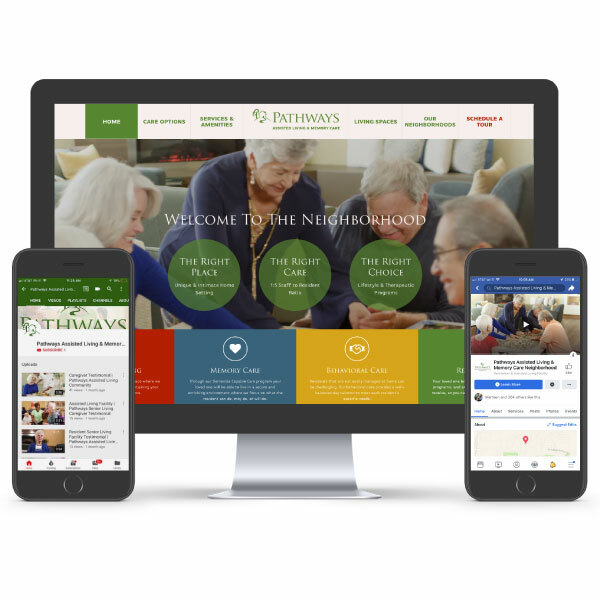 Check out the results accumulated from a unified and seamless experience we created for Pathways Assisted Living. 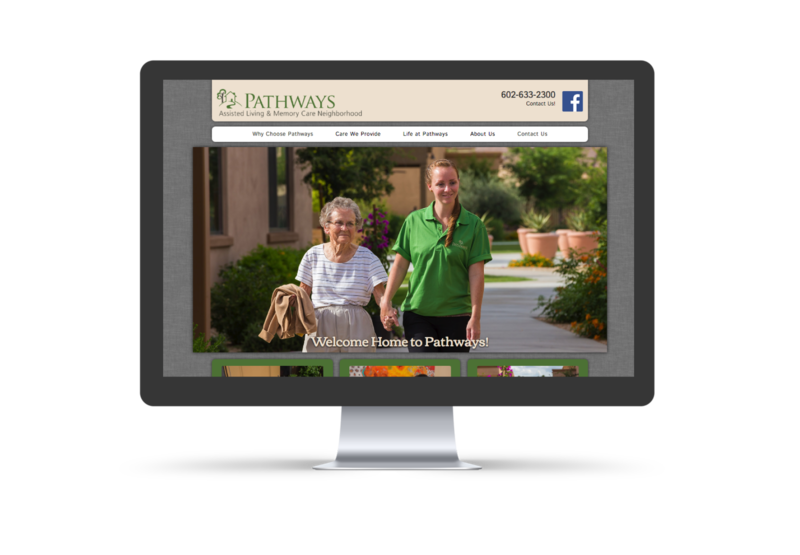 First, let’s take a look at the demographics that assisted living homes are marketing to. The majority of customers are looking for their parents, which would make them in Gen X and some in the Baby Boomer generation. A common misconception of this age group is that they aren’t digitally savvy. But, in fact, they are almost the ideal online user! Customers in this demographic spend a considerable amount of time on the web. Additionally, they spend longer times on website pages than others. They take their time absorbing content, which means your website, social media and other digital assets can’t go ignored! These digital marketing services are a must-have in today’s market and digital age. Traditional marketing is still valued by these consumers as well, but won’t be effective on its own. 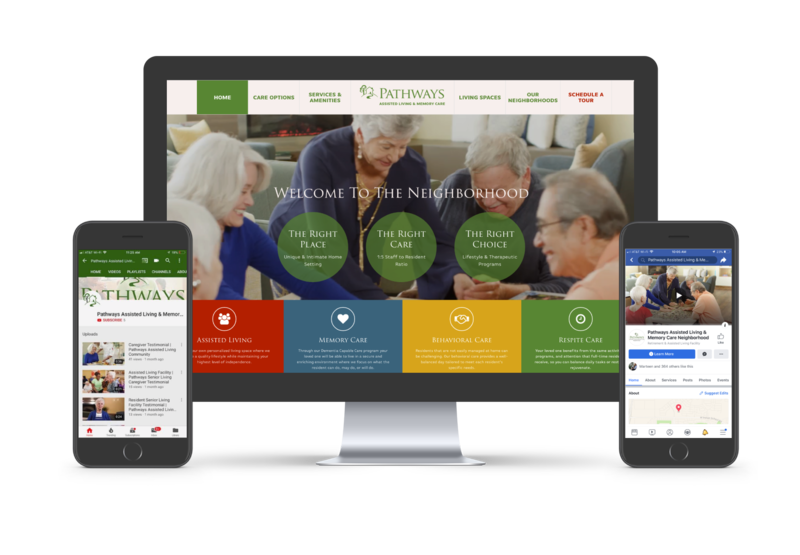 In this digital marketing case study, we start at the customer, then look into how to incorporate web and video to increase views and website visits. First up in this digital marketing strategy was to focus on realigning the brand to the right market. Additionally, the objective was to revamp digital assets to ensure that the brand was accurately represented and appealing to the customers. By creating a mobile-friendly website paired with engaging content, viewers are more easily turned into customers. Understanding these goals before strategizing further allows us to look at the big picture and leads to higher success for the company and customers. Taking the existing brand elements, but presenting them in an updated and modern fashion. Adding new, high-quality photo and video which provides a professional appearance. Utilizing digital marketing strategies to optimize the reach and target new customers. After implementing these digital marketing strategies, we saw positive results on all accounts. First, the website was designed specifically for the customer. By targeting popular pages and an easy interface, we saw an increase in page visit time. Then, we included video into the homepage, since landing page videos are proven to increase conversions by up to 80%. 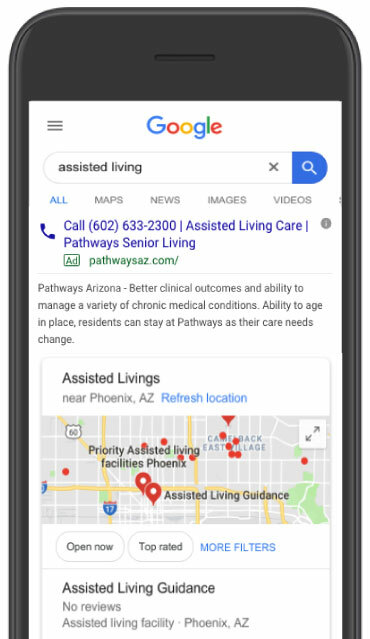 Next, taking these updated digital marketing ideas, we targeted customers through Google Ads and instantly saw an increase in visitor duration and engagement. This digital marketing case study goes to show that above all else, your online strategy goes the furthest. Take advantage of the attention span Gen Xers have when on the web by incorporating engaging content into your digital strategy. Websites and video go together like peanut butter and jelly; both are good but are better together! From start to finish, the Epic Productions team is here to execute a holistic approach to communication through a cohesive digital marketing strategy. Don't wait to get started on your company's digital marketing strategy! Get a free quote from us today.